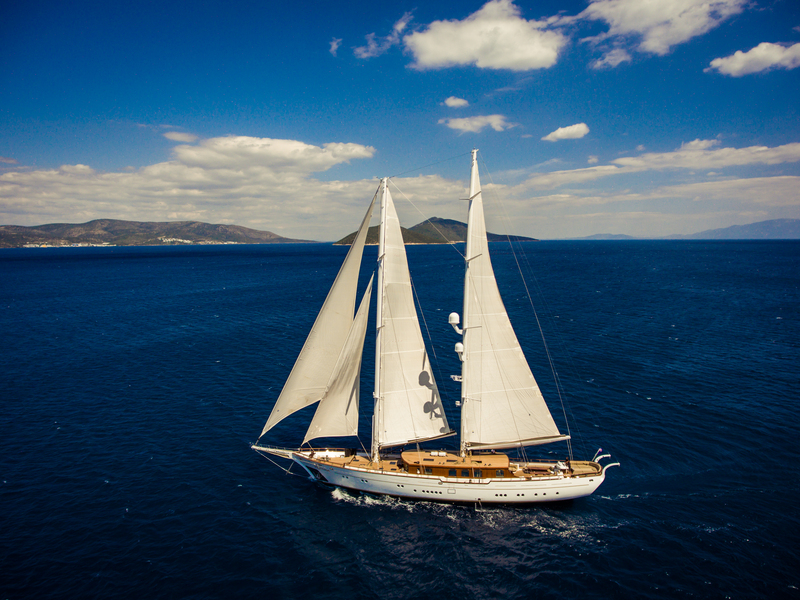 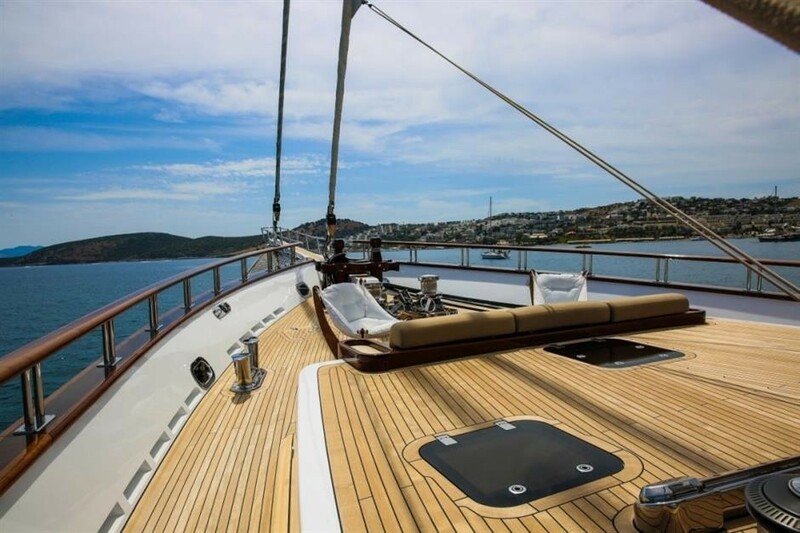 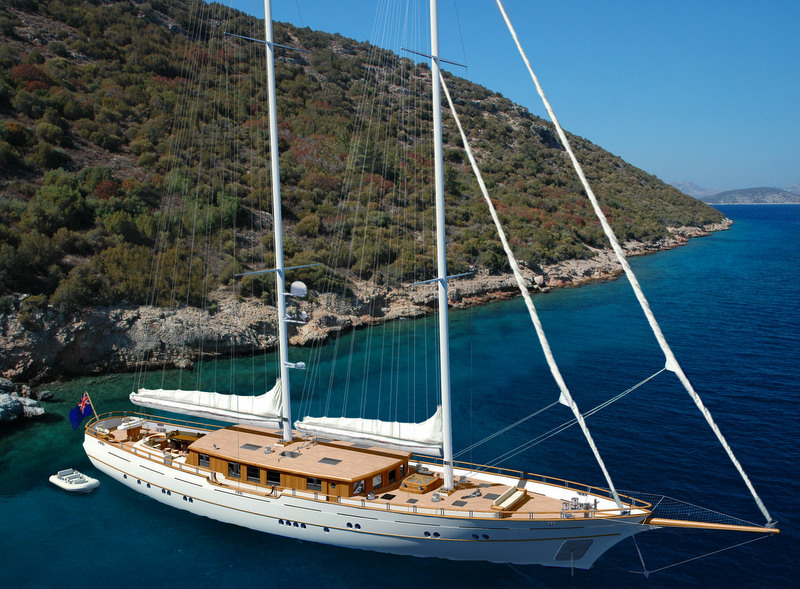 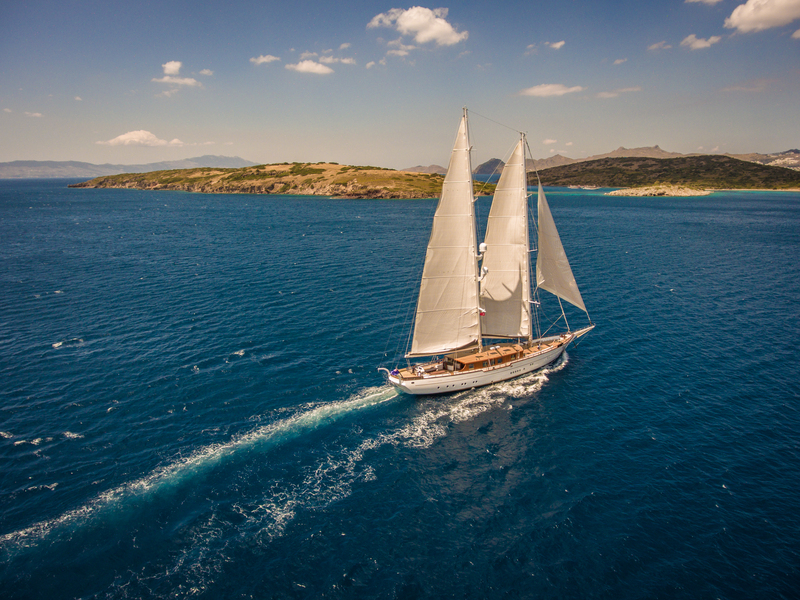 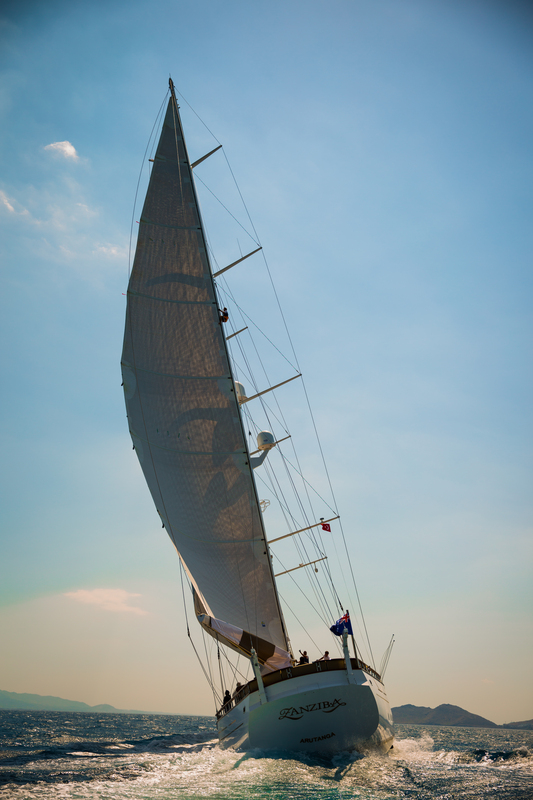 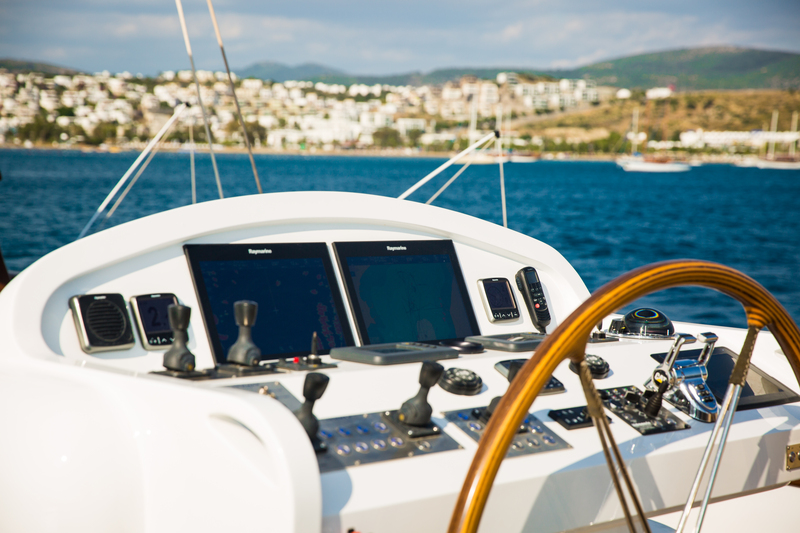 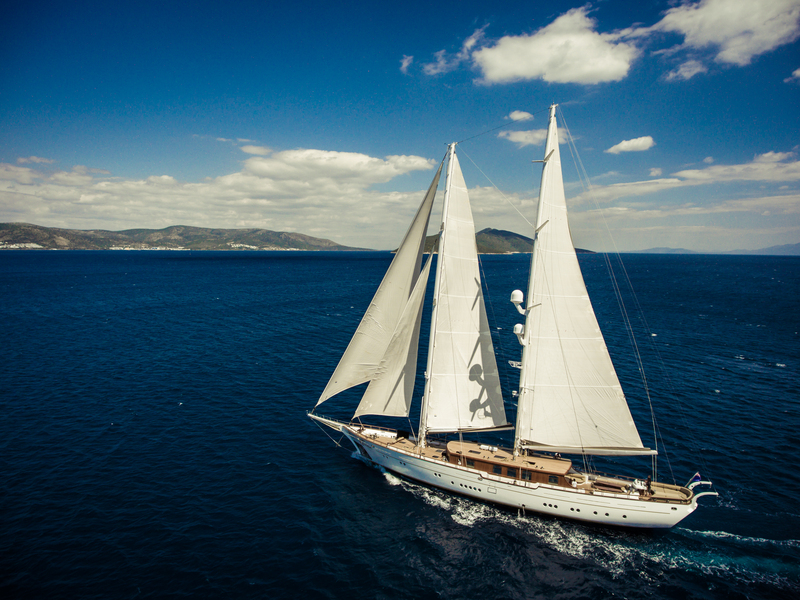 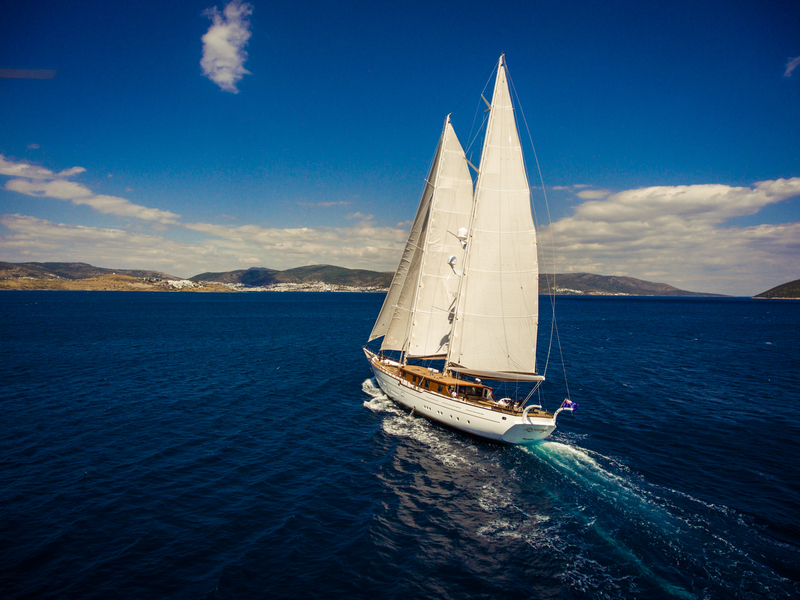 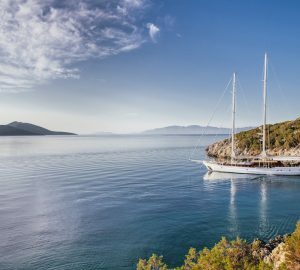 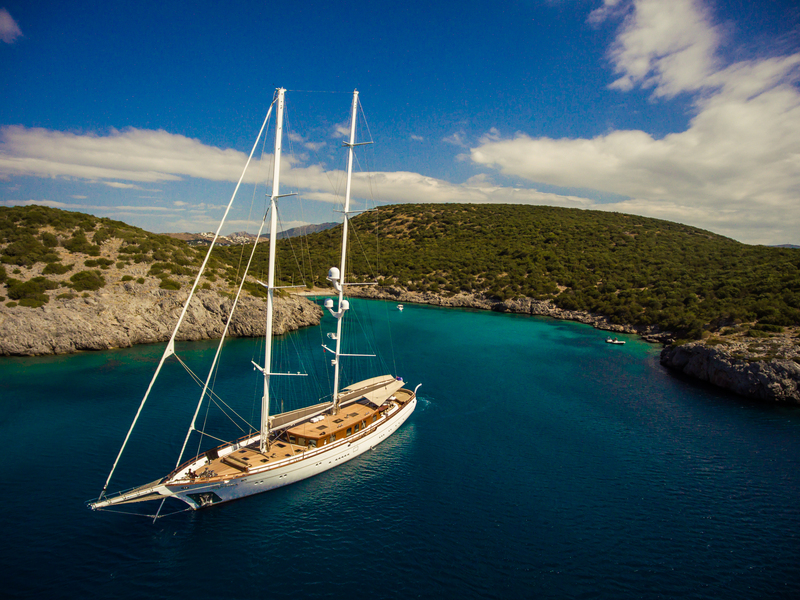 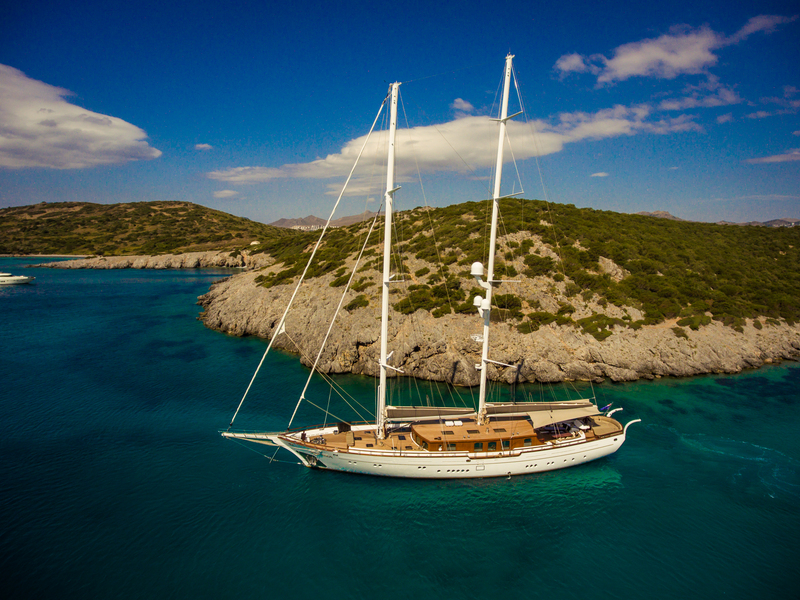 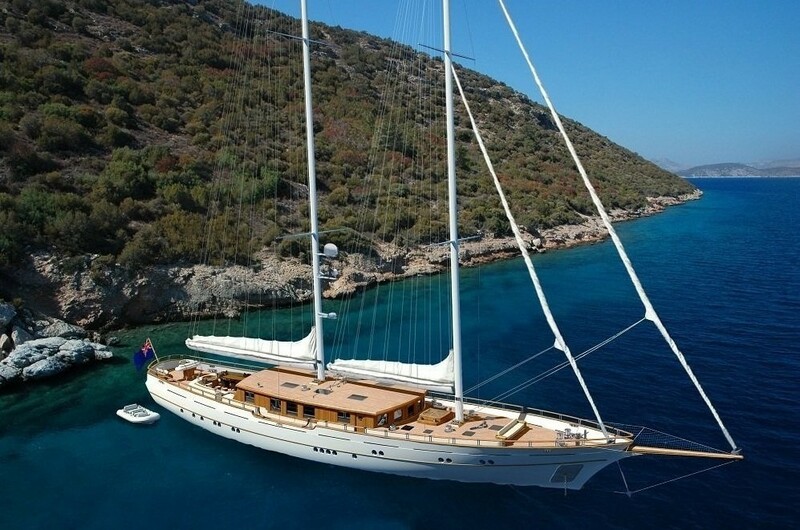 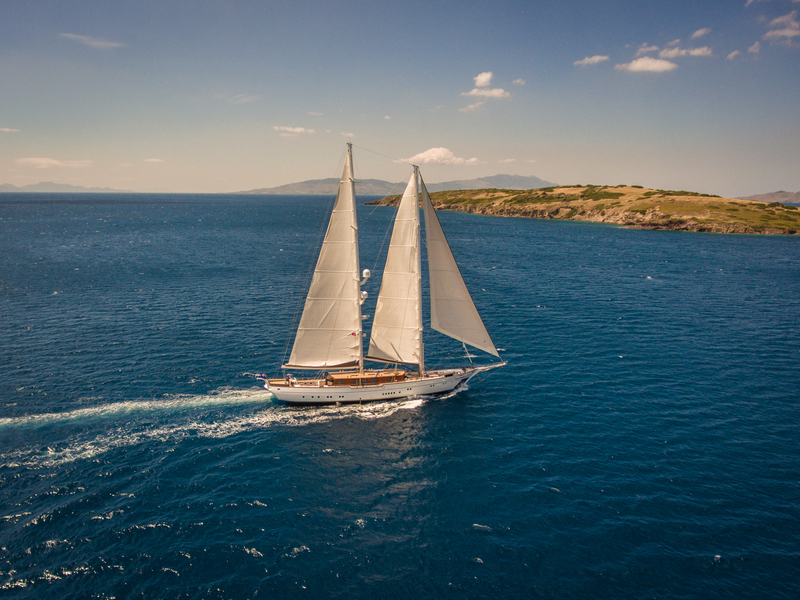 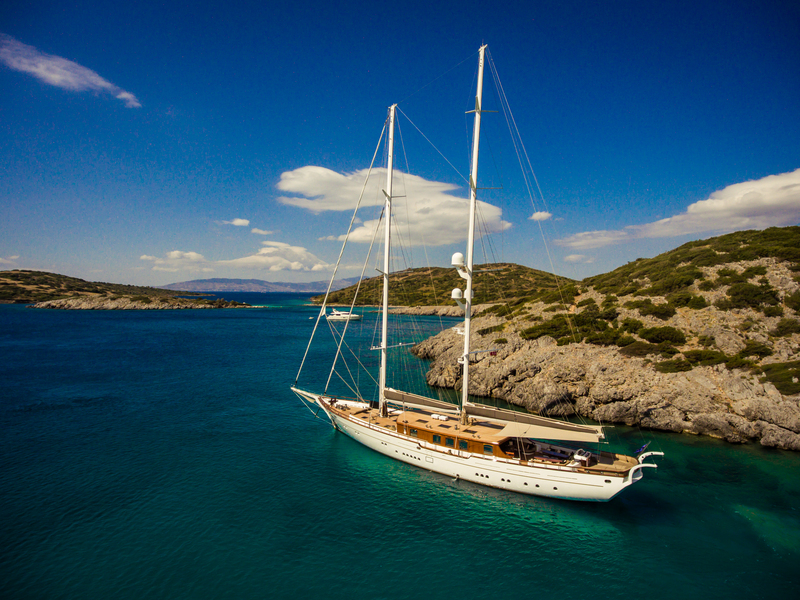 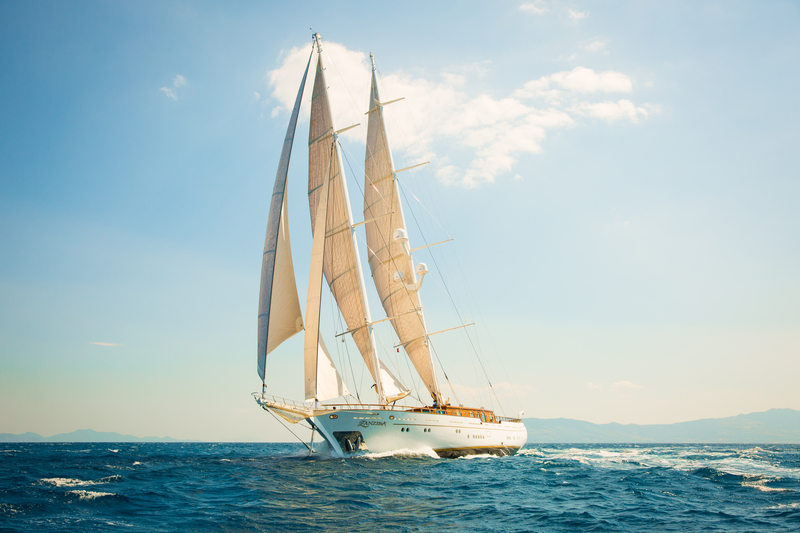 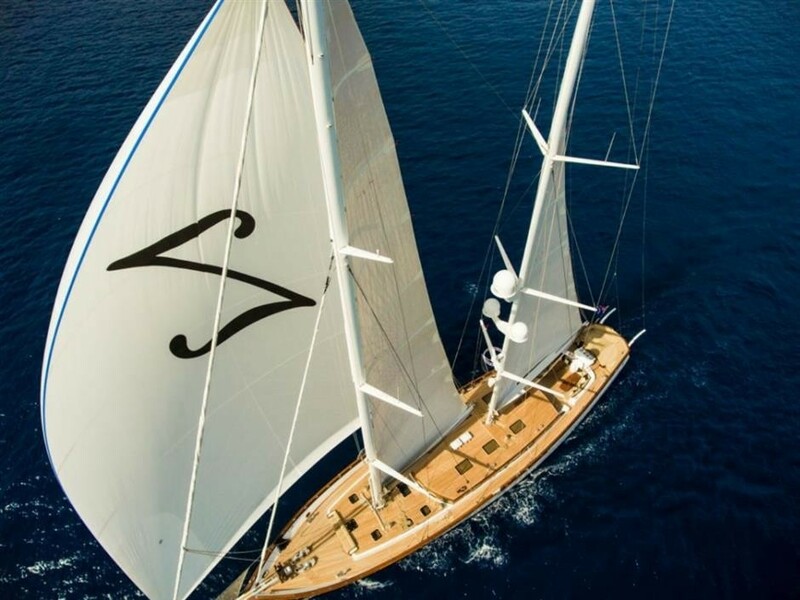 Launched in 2015, the 40m (131') sailing yacht ZanZiba is a charming modern classic gulet, built by Archipelago Yachts and completed by Arkoy Yacht. 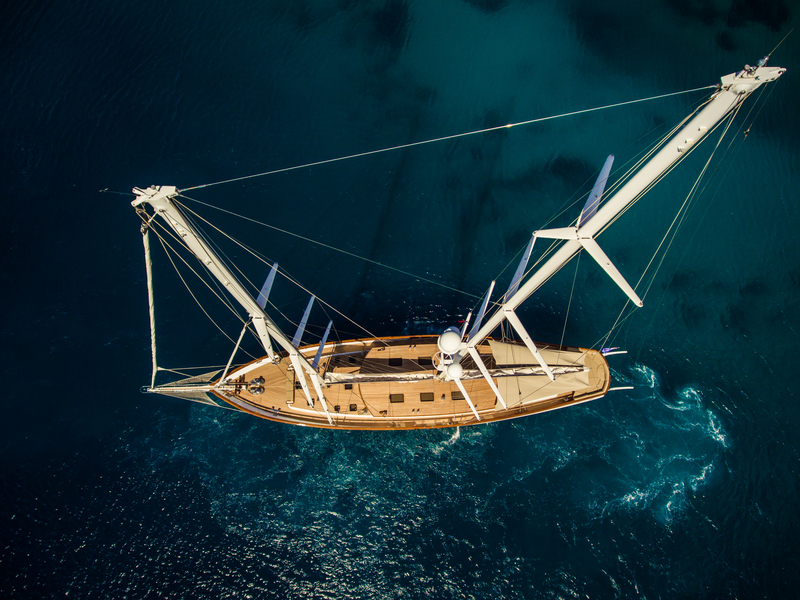 The structural design of the beautiful ZanZiba superyacht is by Fairlie Yachts, while her interiors are by David Wright Design, accommodating up to 10 guests in 5 deluxe cabins. 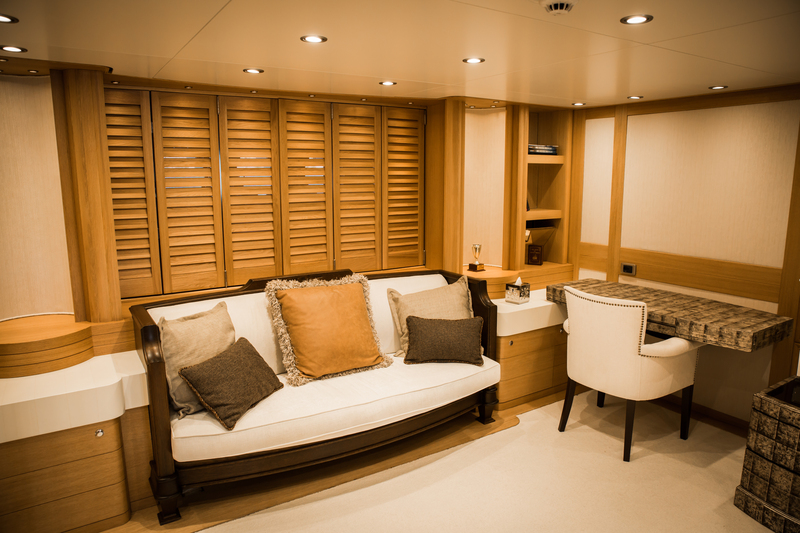 The light and exceptionally spacious interiors are created in colonial style with teak, burr oak and Zebrano veneers accented by bronze and nickel fittings to evoke a rich effect dominated by natural tones reminiscent of an earlier and more leisured era. 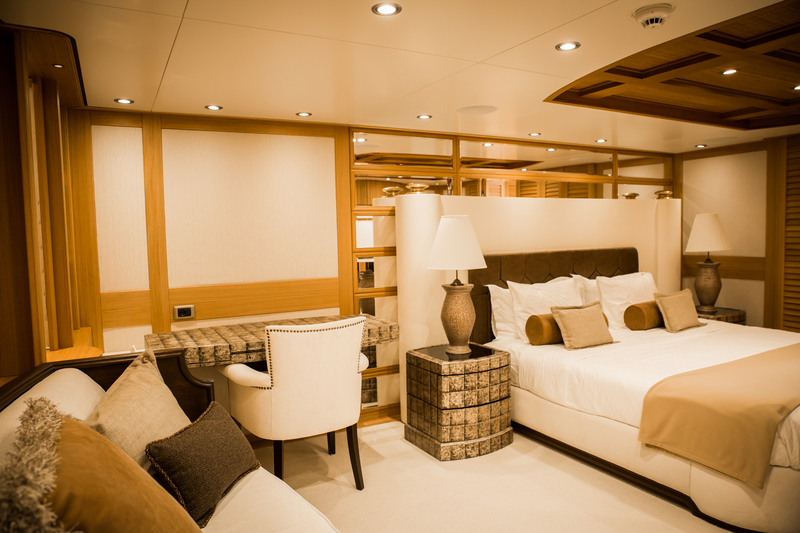 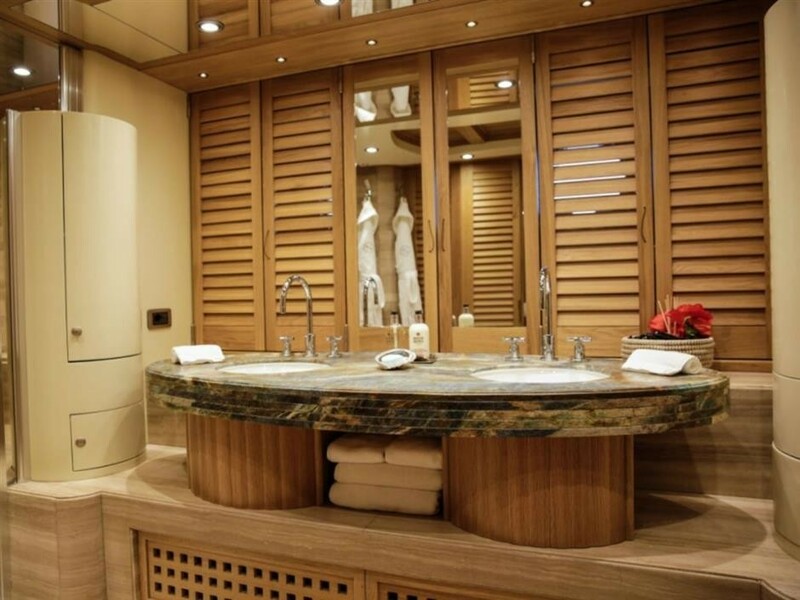 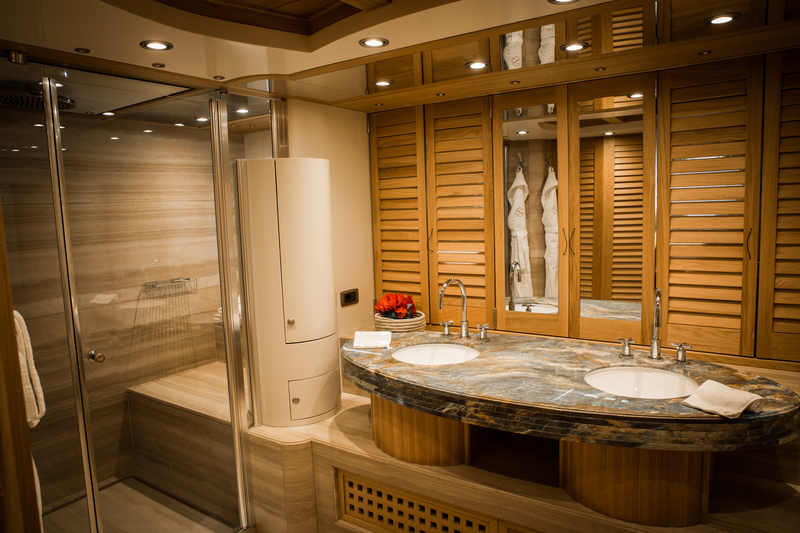 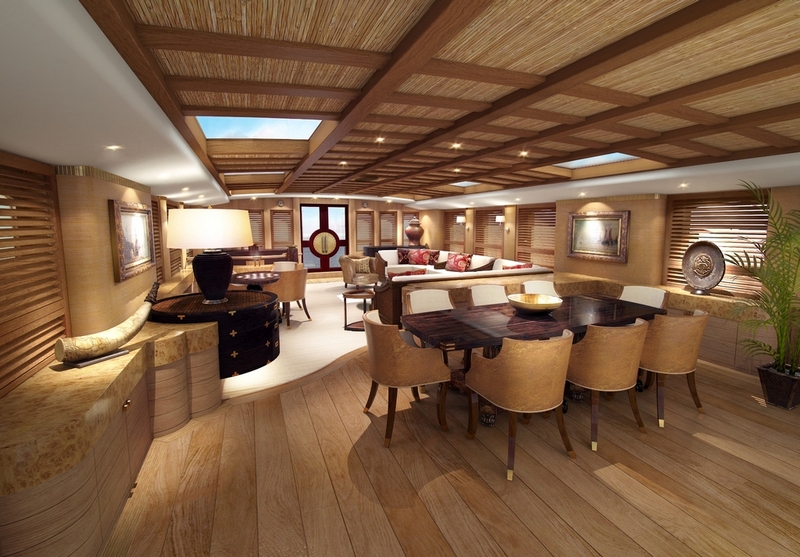 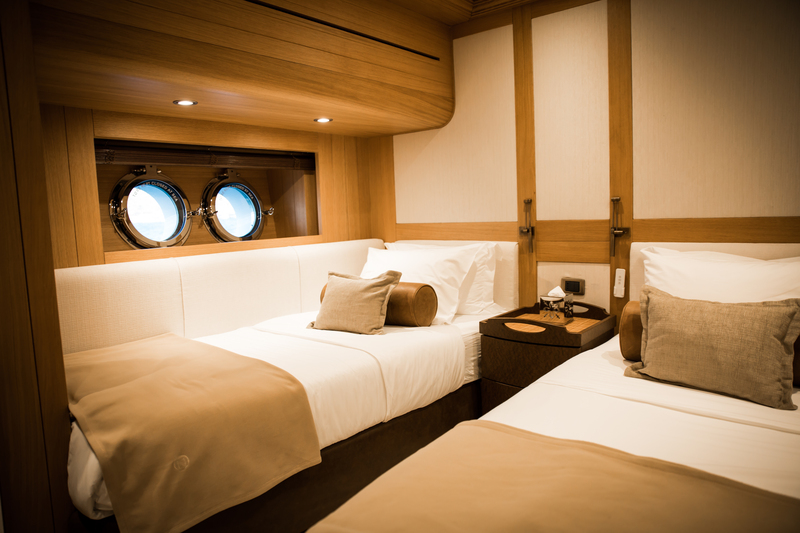 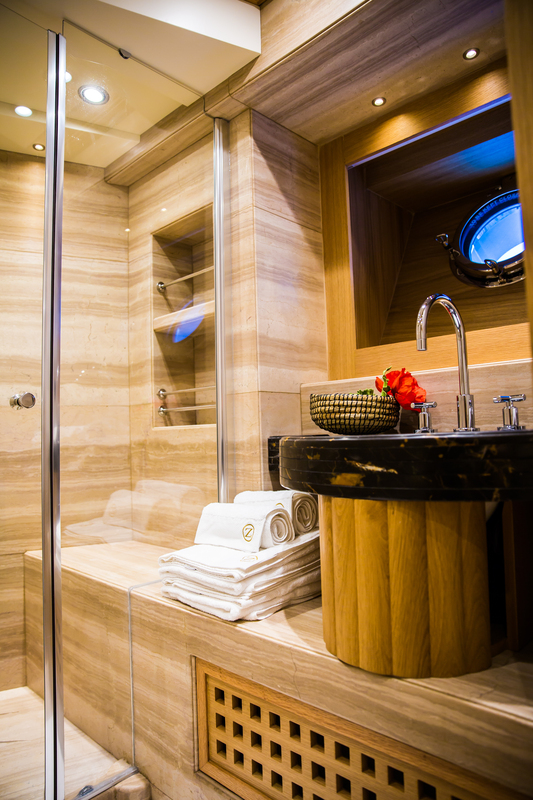 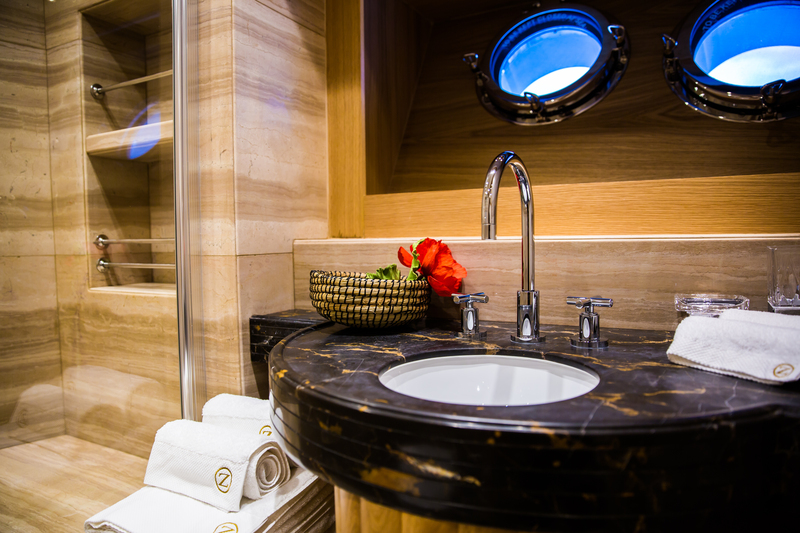 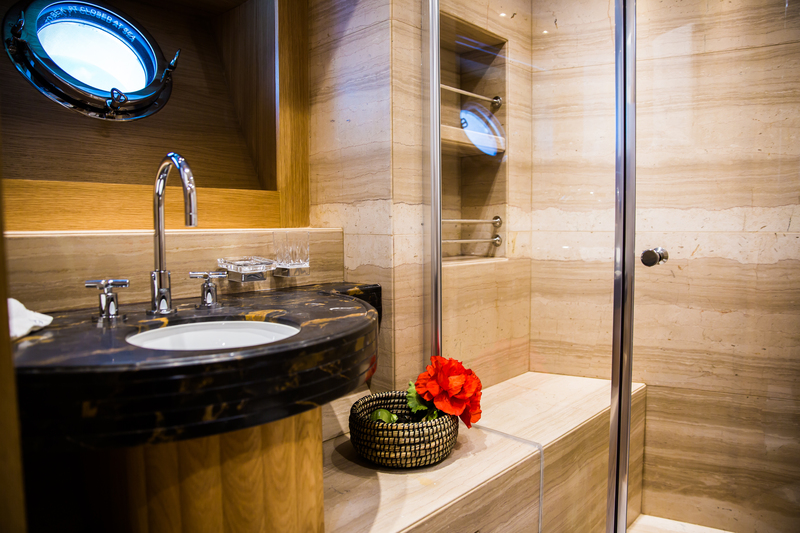 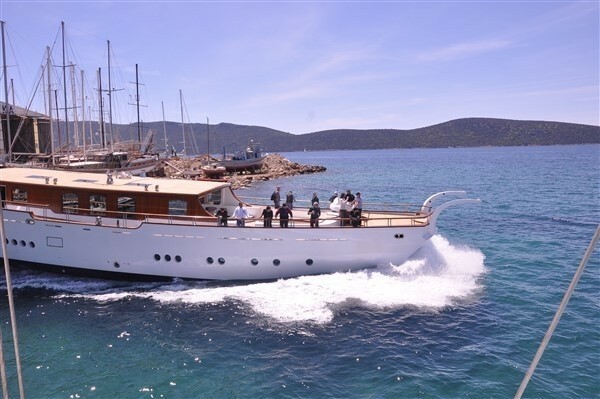 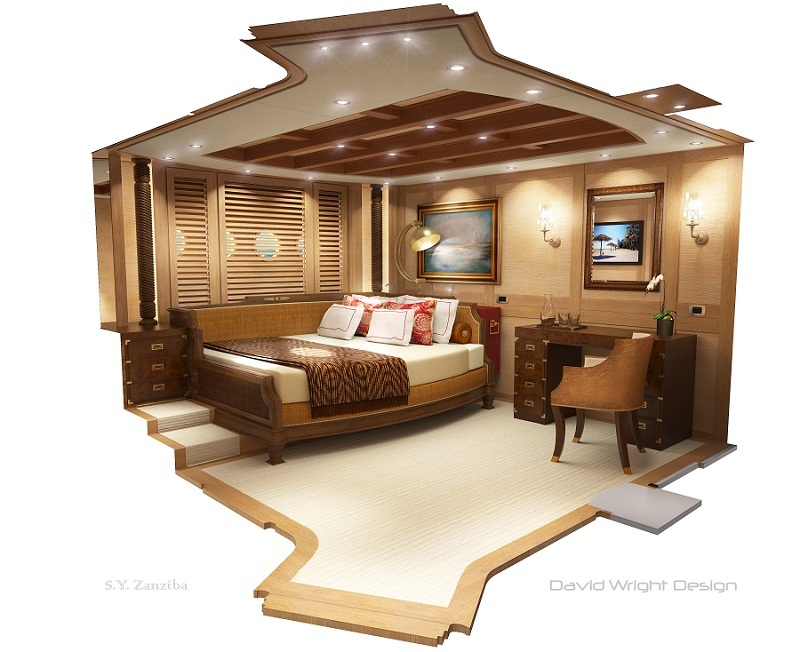 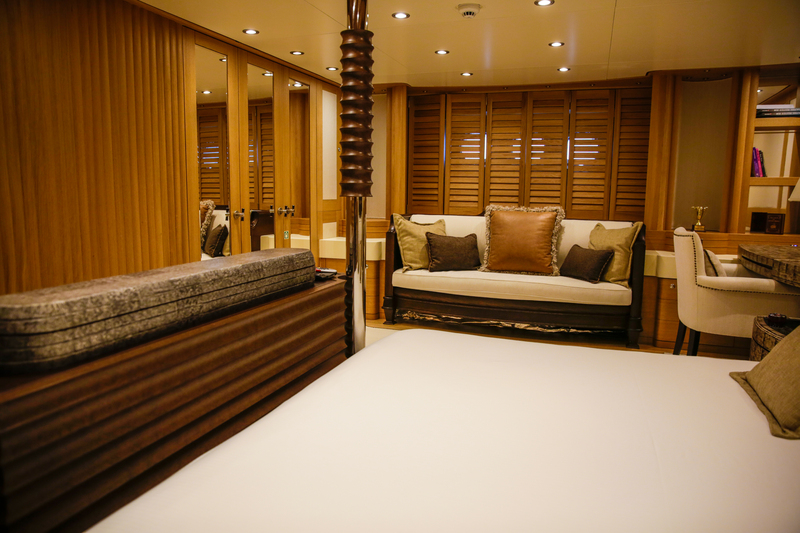 Five marvellous cabins for ten guests include a full-beam owner's suite, which can be found in the central part of the vessel. 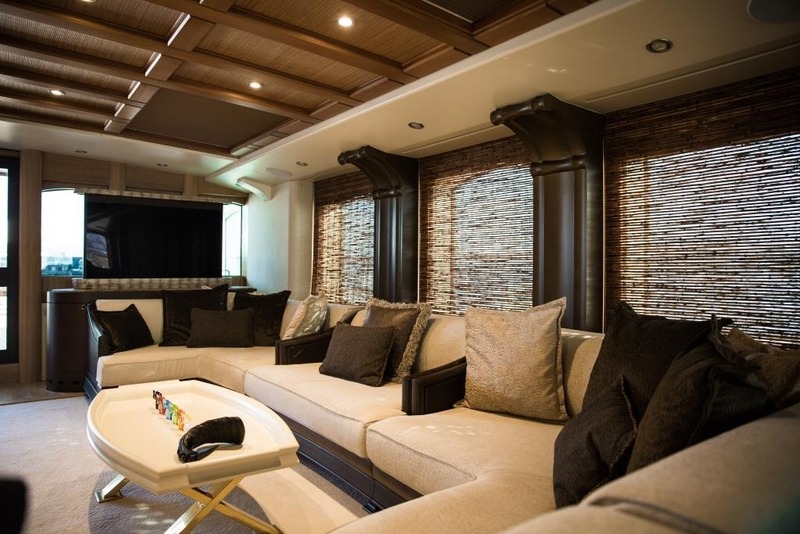 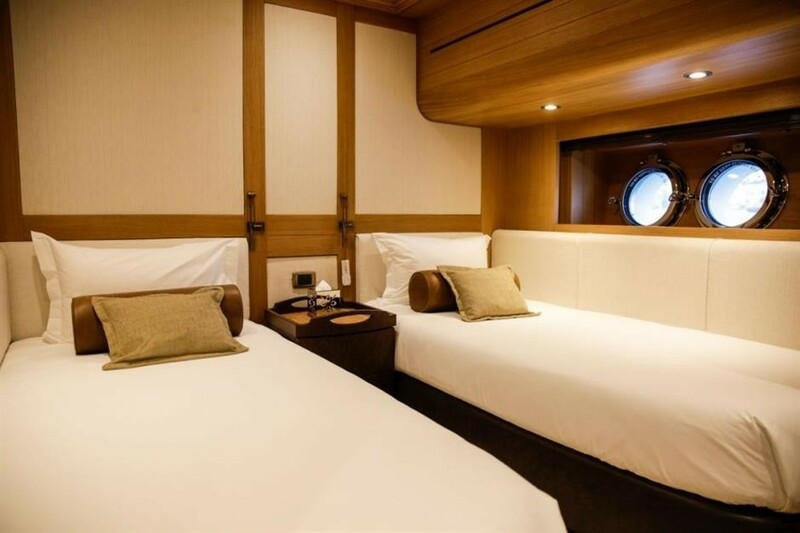 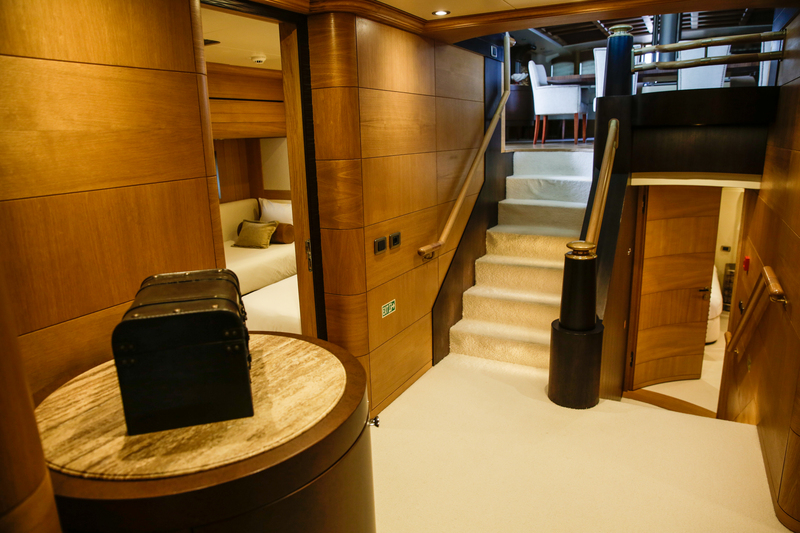 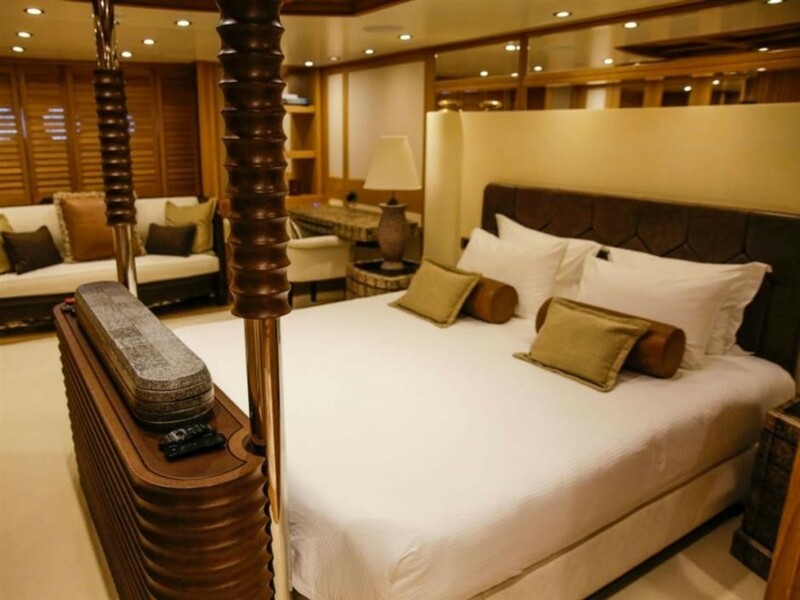 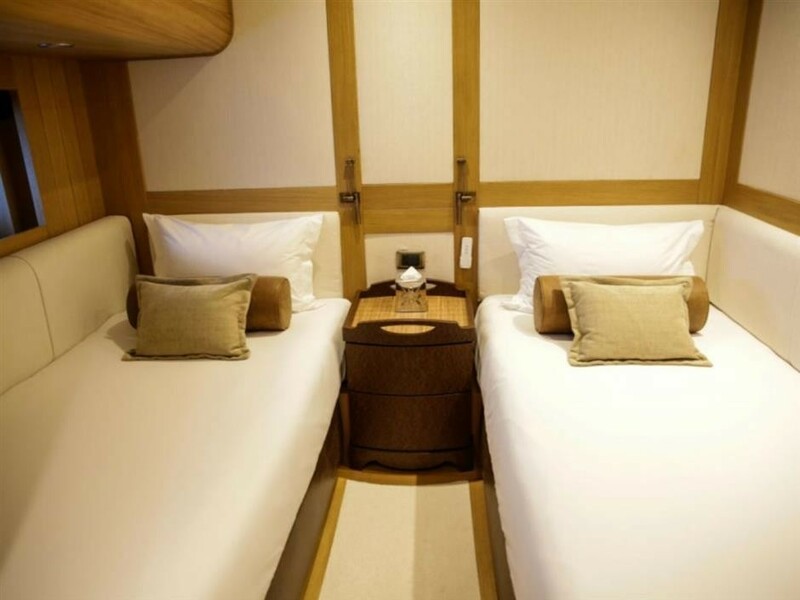 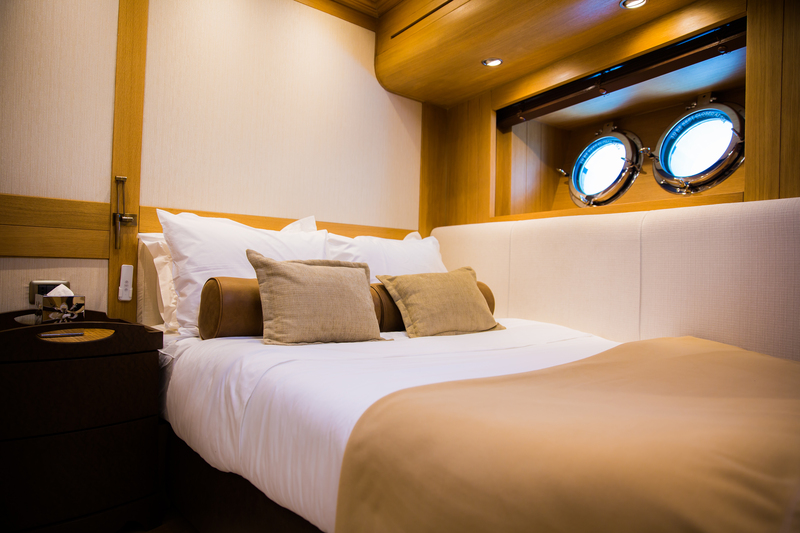 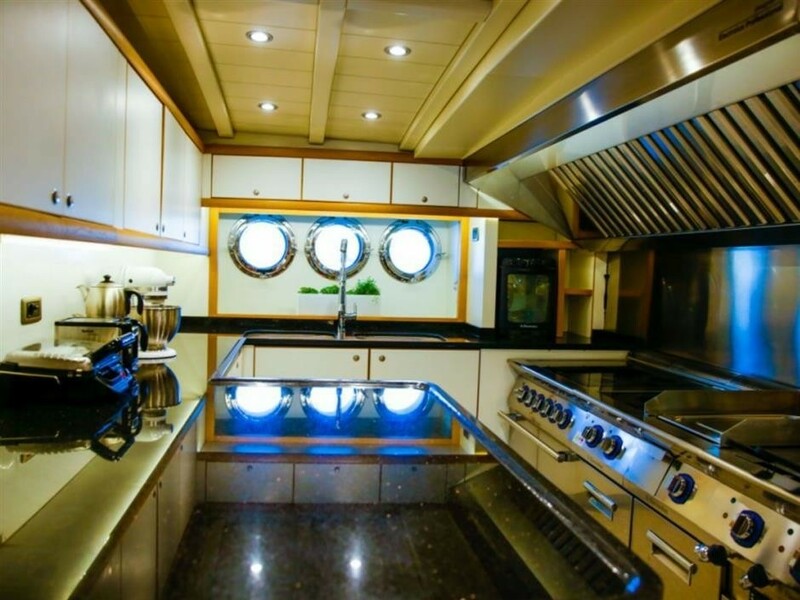 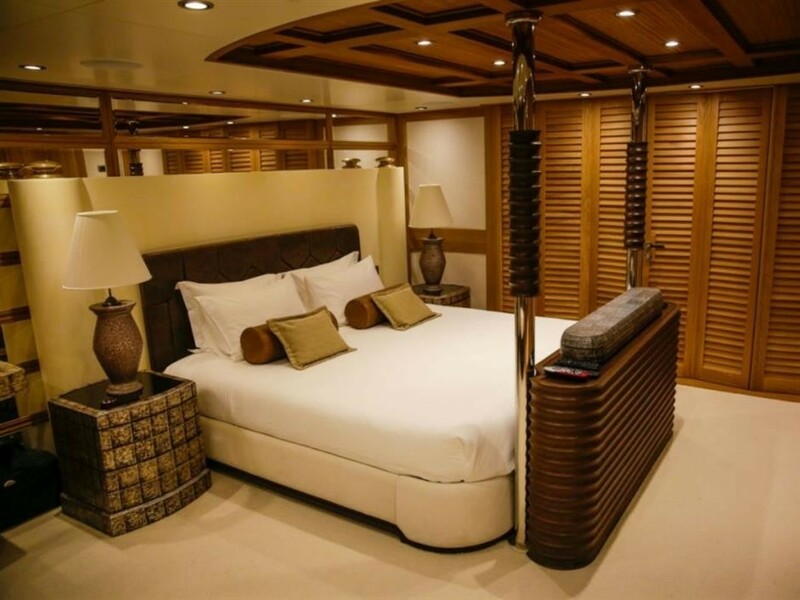 8-member crew quarters and service areas are situated on the lower deck, while the upper deck houses the saloon and covered dining area, offering beautiful views. 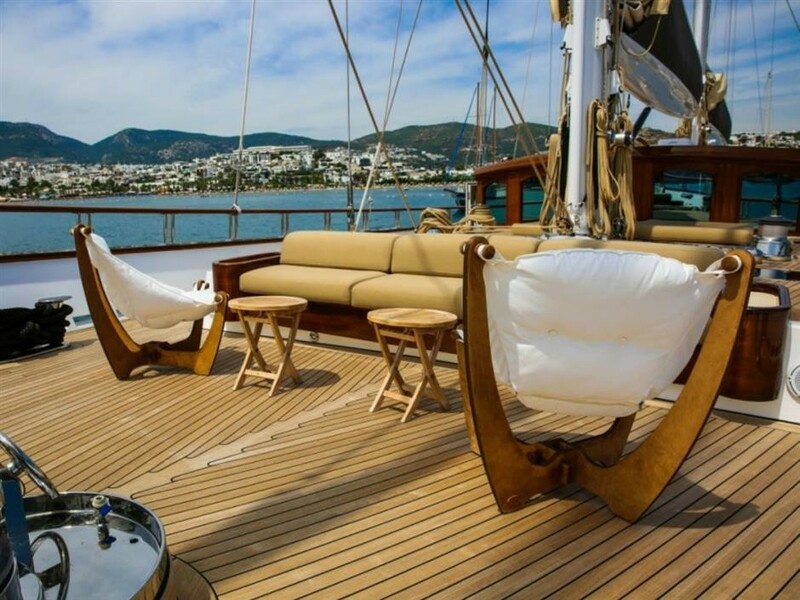 Luxury yacht ZanZiba provides her guests with a huge variety of modern systems from air conditioning, CCTV, WiFi and a full Lantic entertainment system to NavTec rod rigging, Stratis™ sails by Doyle, hydraulic winches by Lewmar and Harken and comprehensive navigation, electrical and hotel systems. 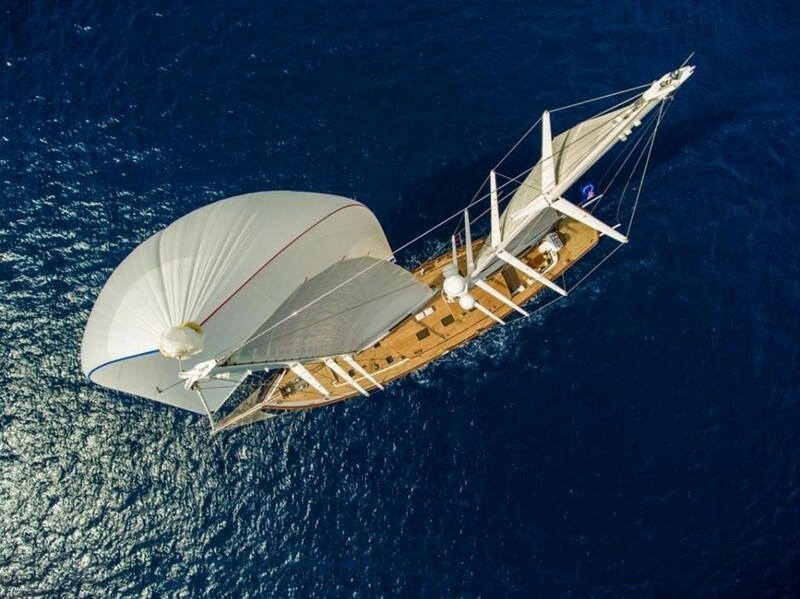 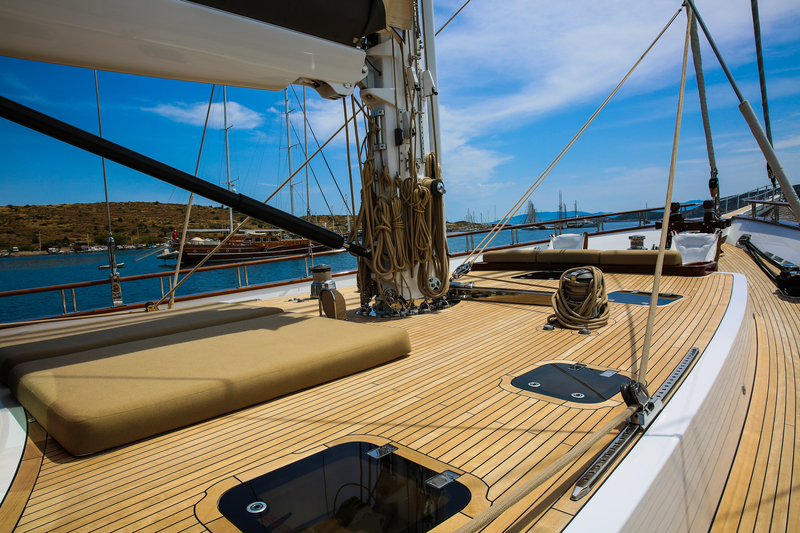 The hull and superstructure of Zanziba superyacht are made of wood, created by using a special cold-moulding process resulting in an excellent strength to weight ratio and requiring little maintenance being both impenetrable to marine parasites and proof from osmosis. 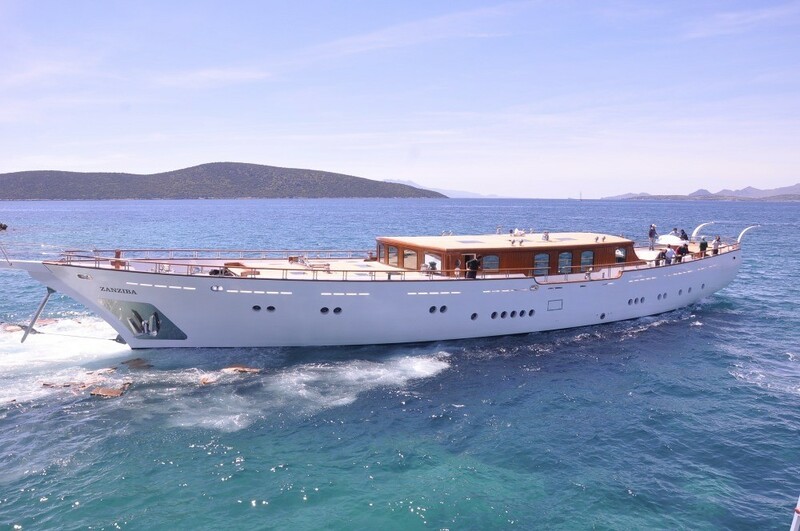 Powered by twin CAT C18 1800 RPM diesel engines, ZanZiba reaches a maximum speed of 13 knots, with a cruising speed of 10 knots. 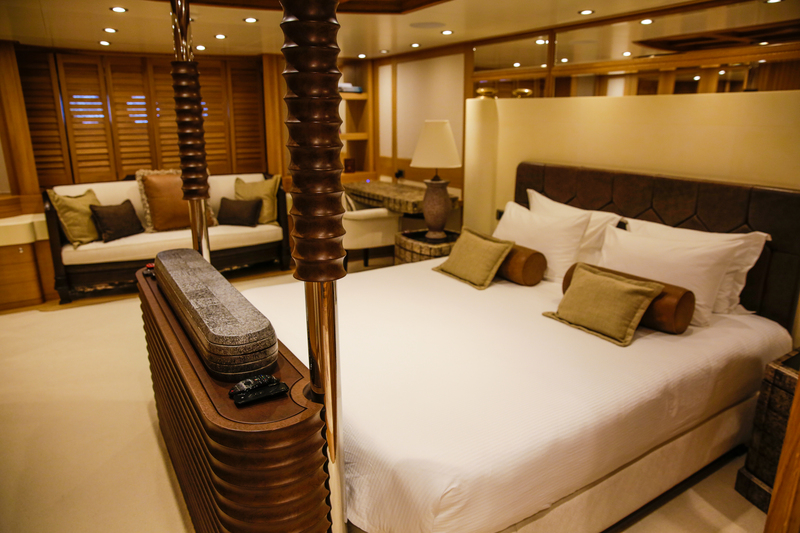 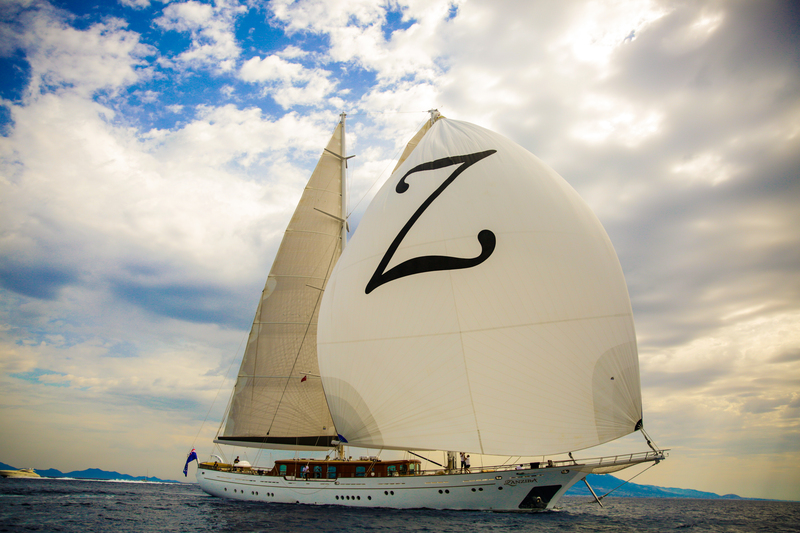 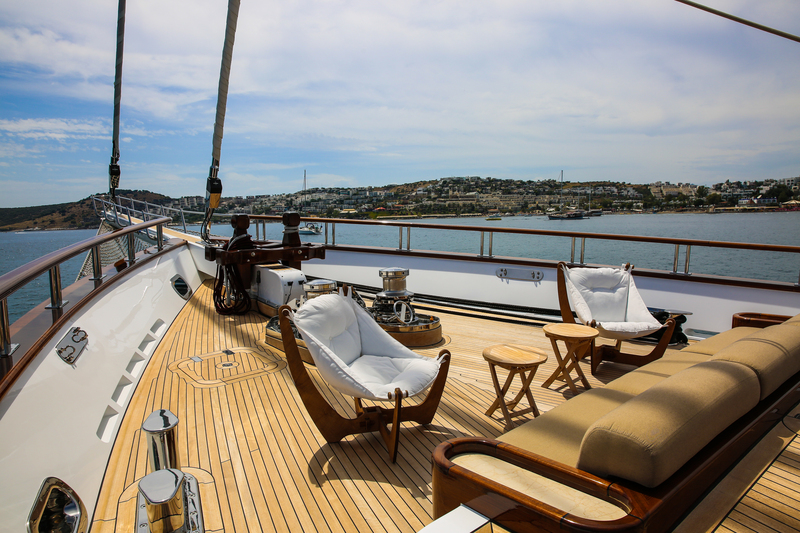 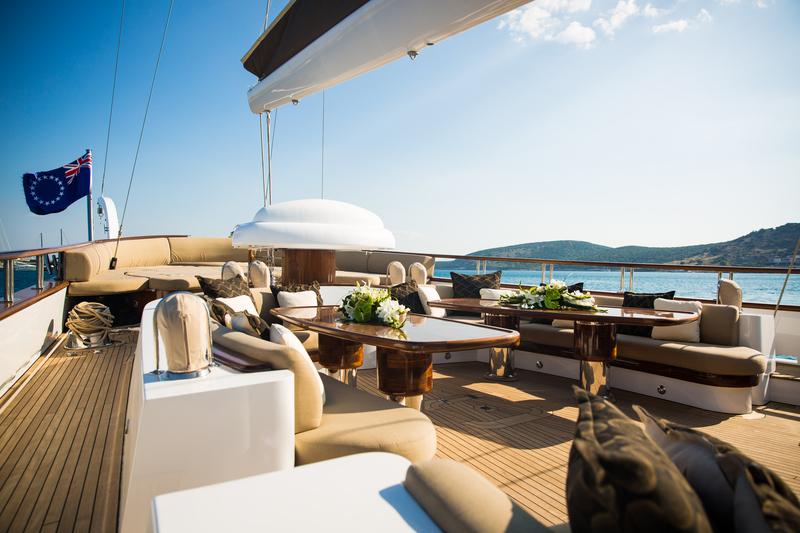 Accommodation aboard Zanziba superyacht is offered to a total number of 10 guests in 5 well appointed cabins. 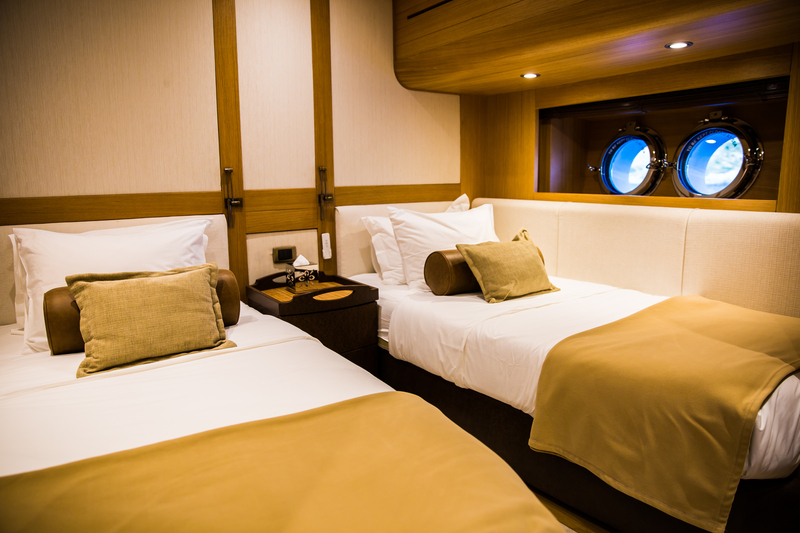 These include a full-beam owner's suite, which is positioned in the central part of the vessel. 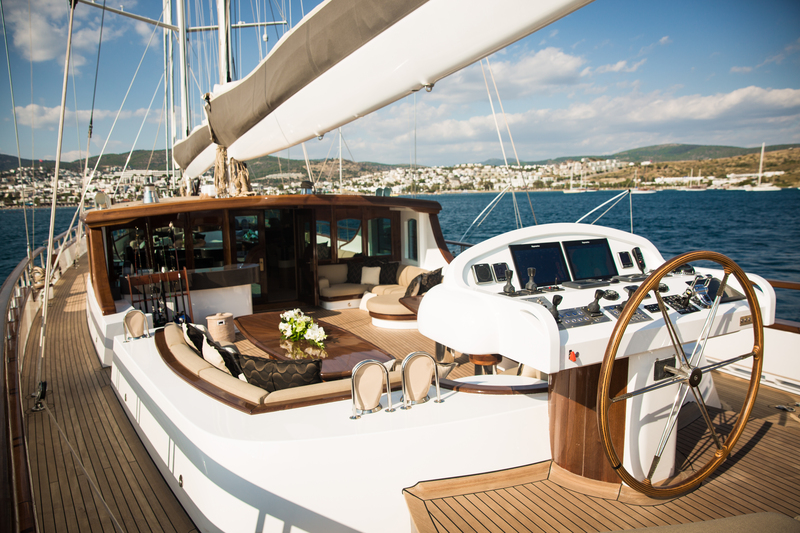 There is also space for a highly trained crew of 8 members.